Submitted by Jeff Buster on Thu, 01/01/2009 - 22:39. 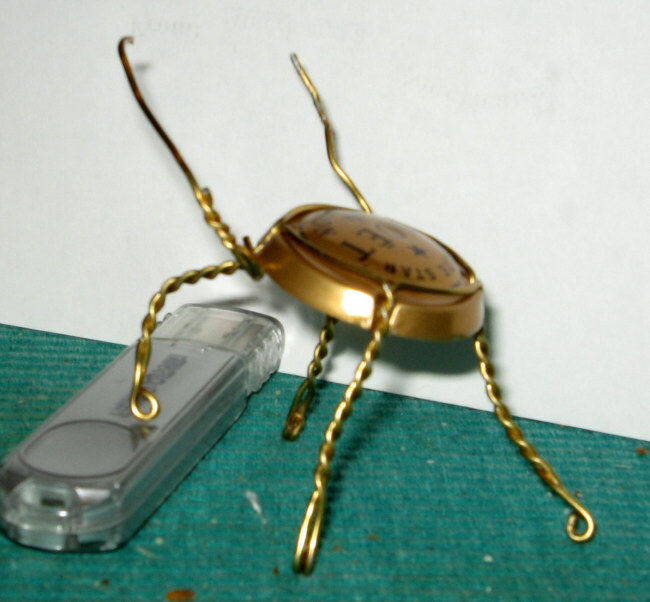 Those antennae appear to be transplanted from another 4 legged bug. Just how many bugs were there last night? Submitted by Kevin Cronin on Fri, 01/02/2009 - 18:23. 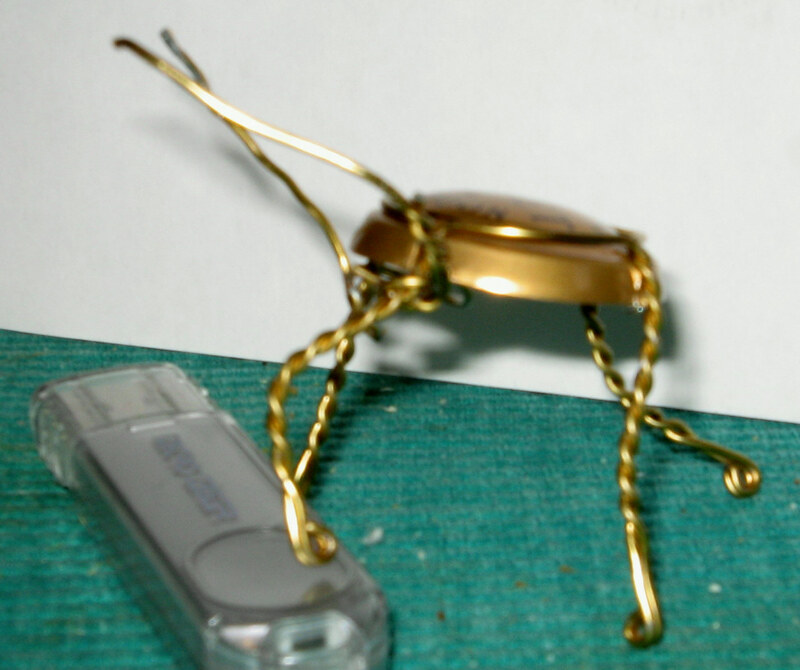 The antennae were transplanted from the wire that holds the bottle, running through the loops of the "legs." Submitted by Jeff Buster on Fri, 01/02/2009 - 20:31. I forgot about that circular wire.